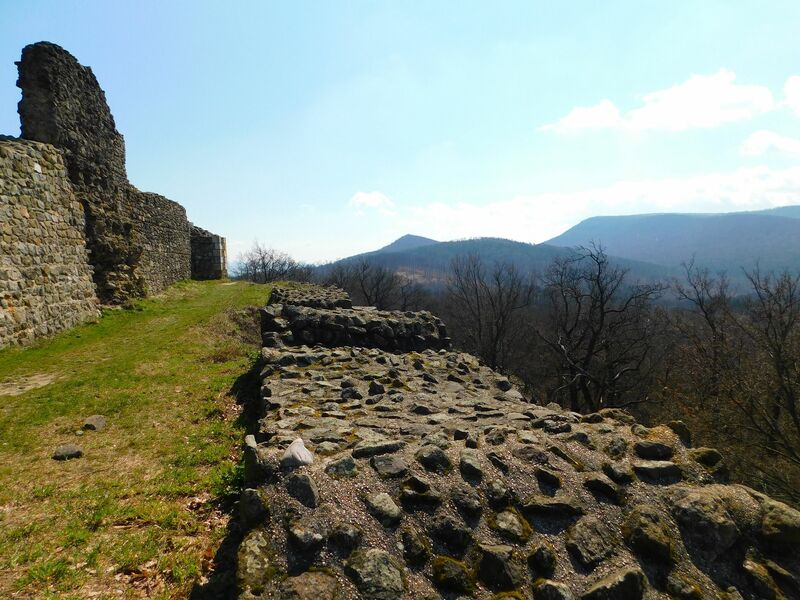 Drégely Castle is on the top of a 444 meter high mountain in Börzsöny. It is 75 km far from Budapest, between Drégelypalánk and Nagyoroszi. The castle can only be reached on foot, on marked tourist routes. Starting from Drégelypalánk, a 4 km tour with a level rise of 280 meters. We do not know the exact date of the castle's construction. Certainly they started building after the Mongol invasion, probably at the time of the castles constructions executed by King Béla the IVth. Our first written memory was from 1285. The castle of Drégely, which was destroyed in 1552, was not rebuilt by the conquerors. Most of the stones were carried by the population, and the rest were devastated by the weather. The castle offers a very nice view of the Börzsöny Mountains. This was our trip on 2nd April, 2018.